At Vyana we strive to find the root cause of disease and help the body to heal itself through natural means. Healthy lifestyle and stress management are emphasized as part of an integral prevention plan. We offer an inviting, professional setting and tailor treatments to fit your indidvidual needs. Maya is trained as a yoga instructor, and offers yoga classes at Vyana to help people with stress management and to live an active and healthy lifestyle. Third generation ND practising family medicine in an eclectic style with emphasis on Homeopathy. I am a Naturopathic Doctor who integrates standard medical diagnosis with natural therapies that encourage your body’s own self-healing process. I will address the cause of your disease and try to heal the whole person. I have a strong faith and believe that Love and Laughter are essential to your healing. Dr. Elvis Ali has been in private practice for 27 years specializing in Chinese medicine, sports medicine and nutrition. In 2006, Dr. Ali completed his studies on Body/Mind Medicine at Harvard Medical School where he was a member of the postgraduate association at Harvard. He is currently involved with R and D as well as the educator at Canadian Bio. 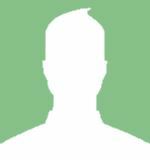 He has published papers, serves on Alive’s Editorial Advisory Board, written and co-authored several books, conducted lectures internationally and has appeared on a number of radio and TV shows. I utilize all naturopathic (Natural) therapies to strengthen weakened organs and increase vitalityand restore health and balance. I work with many conditions affecting the musculoskeletal system- tissue damage, tears, arthritis. Neurological system- head injuries, concussions, traumatic brain injury, nerve degenerative conditions. Gastrointestinal conditions- IBS, Colitis, Crohns, also Autoimmune disorders. I work with allergies (food and environmental) using Advanced Allergy Therapeutics and naturopathic therapies. Graduated from Bastyr University and have a license to practice from the state of Washington. Member of the American Association of Naturopathic Medicine and the Oncology Association of Naturopathic Medicine. Practice as a primary care physician. Special interests in working with people living with cancer, fibromyalgia/chronic fatigue and environmental toxicity. Naturopathic modalities include clinical nutrition, homeopathy, botanical medicine, acupuncture and diet/lifestyle counselling. Dr. Rozendaal BES, MA, ND invites patients of all ages to learn how to regain health and wellness using Naturopathic Medicine. Dr. Rozendaal has general family practice with special interest in sports medicine and environmental medicine. With over 15 years experience in the environmental and energy industries, she has in-depth knowledge into the effects that environmental contaminants have on our health and the role they play in many diseases such as allergies, hormonal imbalance, autoimmune disease, pain and cancer. By incorporating a wide variety of modalities, which take advantage of her training in acupuncture, botanical medicine, homeopathy and nutrition, she is able to effectively treat annoying symptoms or chronic illnesses that just don’t seem to resolve. She also has additional certification in Reiki, facial rejuvenation acupuncture, cosmetic mesotherapy, biopuncture and Intravenous Therapy. Dr. Rozendaal can help you learn more about how Naturopathic Medicine can identify your environmental and toxic exposure in order to regain optimum health. As a general practitioner, Erin welcomes the opportunity to treat patients of all ages. She has a solid background in nutrition, and emphasizes whole food nutrition, going back to the basics with food. She has a keen interest in botanical medicine, and Asian Medicine including acupuncture. She abides by the Naturopathic medicine principles by supporting patients to achieve their optimal health. She thoroughly enjoys sharing her knowledge, facilitating people on their journey to good health. 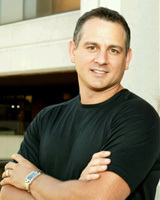 Scott Figueroa is the Co-Founder and a Clinic Director of Hart & Sol Integrative Healthcare. 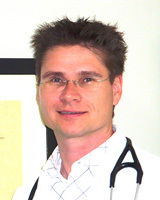 He is a fully licensed Naturopathic Doctor registered to practice in the province of Ontario. Scott takes the time to completely understand his patients’ health concerns and goals before developing an individualized treatment plan. As a primary care physician, Scott takes a natural approach to treatment and disease prevention to help his patients achieve optimal health. He has a special interest in Chinese Medicine and enjoys using acupuncture and herbal medicine as a means to treat the underlying cause of many health concerns and improve the overall function of the body and mind. 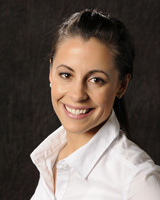 Holly Letourneau is the Co-Founder and a Clinic Director of Hart & Sol Integrative Healthcare. 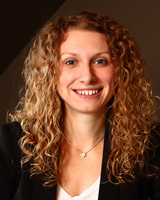 She is a licensed naturopathic doctor with the province of Ontario and is a member of the Canadian Association of Naturopathic Doctors and the Ontario Association of Naturopathic Doctors. She is happy to be back in the Niagara Region and to be bringing naturopathic medicine to her community. 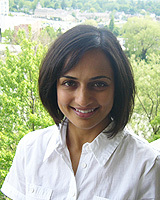 She received an Honours Bachelor of Science degree in Human Behavioural Biology from the University of Toronto and then received her naturopathic doctor (ND) designation from the four year post-graduate naturopathic medicine program at the Canadian College of Naturopathic Medicine (CCNM) in Toronto, Ontario. Prior to establishing Hart & Sol, Holly treated patients of all ages at the Robert Schad Naturopathic Clinic and the Sherbourne Health Centre in Toronto, Ontario. 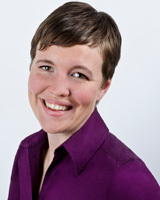 Outside of Hart & Sol Integrative Healthcare, Holly has been involved in numerous HIV/AIDS research projects since 2003. I am a naturopathic doctor by schooling. I blend evidence based medicine and the wisdom of ancient medical practices with an emphasis on Ayurvedic Medicine. Think of me as the private detective your health never had. I’m somewhat of a scholar of comparative medicine. I’ll find what will work best for you and your personal constitution. My goal is to help you produce a healthier happier you. As a Naturopathic doctor, Dr. MacLeod provide safe and effective treatments which blend ancient traditional medicine with modern science and research. He is passionate about helping patients achieve optimal health, prevention of disease and a long, happy life. Jason Lee is a Naturopathic Doctor, biological medicine instructor, certified Iridologist and registered holistic allergist. He is the founder and clinical director for Innermedica Health Group in Oakville. In addition to running a busy practice, Jason has lectured nationally and internationally to health professionals on various health topics and has appeared on numerous television and radio programs as an expert on natural medicine. Jason has also keynoted many conferences as a motivational speaker. Through speaking engagements and informative patient interaction, Jason empowers his patients with knowledge so they can discover their inner energy to achieve optimal health. Michael Yarish is a Doctor of Naturopathic Medicine and board certified and licensed by the Province of Ontario. Dr. Yarish completed his naturopathic medical degree at the Canadian College of Naturopathic Medicine (CCNM) in Toronto, Ontario. In his naturopathic practice, Michael integrates the clinical and diagnostic tools of conventional medicine with naturopathic therapies. Michael is trained to address acute and chronic health problems and has a special interest in treating cancer, cardiovascular, hormonal, autoimmune and digestive conditions as well as treating food allergies and their associated symptoms. He is passionate about motivating, teaching and empowering his clients to achieve optimal health and quality of life and believes that open communication between patient and physician creates a trusting partnership that supports this journey.